Christian parents know the importance of passing the gospel story on to their children, yet we live in a busy world filled with distractions. Schedules collide, there is homework and yard work and dishes and laundry, the car's oil should be changed, there are phone calls to make and before you know it, everyone is getting to bed late again. The Bible can seem like a long story for an active family to read, but when you break it down into short sections, as Marty Machowski does, family devotions are easy to do. Long Story Short will help busy parents share with their children how every story in the Old Testament points forward to God's story of salvation through Jesus Christ. You won't find a more important focus for a family devotional than a daily highlighting of the gospel of grace. Clever stories and good moral lessons may entertain and even help children, but the gospel will transform children. The gospel is deep enough to keep the oldest and wisest parents learning and growing all their lives, yet simple enough to transform the heart of the first grader who has just begun to read. Ten minutes a day, five days a week is enough time to pass on the most valuable treasure the world has ever known. 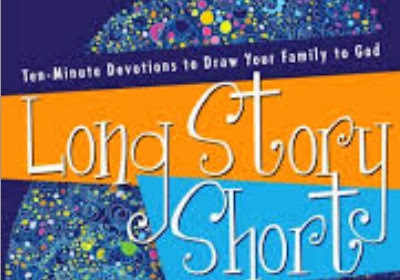 Long Story Short is a family devotional program designed to explain God's plan of salvation through the Old Testament and is suitable for children from preschool through high school.